This confused me a lot, I get that Lea just demoted Poe to a lower position on the crew but since he is such a respected member of the resistance maybe, just maybe the Vice Admiral would consider letting him in on her plan. Yes they want to play things tight to the chest but there is no logical reason to leave Poe out in the dark. In fact you could chalk this up to both Poe and Vice Admiral Holdo being quite stubborn, the simple fact is that had they worked together both of their plans may have worked with an increased rate of success. In fact one might argue that both commanders putting all their faith in a single plan was folly. The reason this really irks me is that yes both can be hard headed but both are respected military commanders, representing two diagrammatically opposing views, they should have found the middle ground. On one hand we have Poe the cocky fly boy playing the short game and the other we have Holdo the eloquent regal very much modern women, where yes she is going to play with the boys but she is going to do it on her terms, you’d think that the two of them would have realized that working together would be better. Or for Holdo to realize that Poe is a maverick and not including him in her decisions would only back fire later. I know some have criticized Poe saying that his dislike for Holdo is anti-feminist but I honestly don’t think he sees the world like that, especially judging by his loyalty to Lea. Like I said earlier this could be chalked up to both Poe and Holdo being stubborn but in the end it was kind of foolish. This is all we know of him, though some believed that he is a Dark Side equivalent to a force ghost, so perhaps he is not down and out. I just felt a little annoyed that after everything we never got to learn anything else out Snoke. Was Benicio Del Toro the man they where looking for the whole time? Why give Rose her necklace back if he was going to betray her? Was there any point in the chase scene that looked totally CGI and didnt make us feel any thing for the characters? I get that everything is connected that the force binds everything together and thus; “I’m one with the Force. The Force is with me” is very relevant. One might argue that the Force guided Finn and Rose to who they needed to find, but I think that kind of writing is a little lazy. So the question is was any of this necessary? 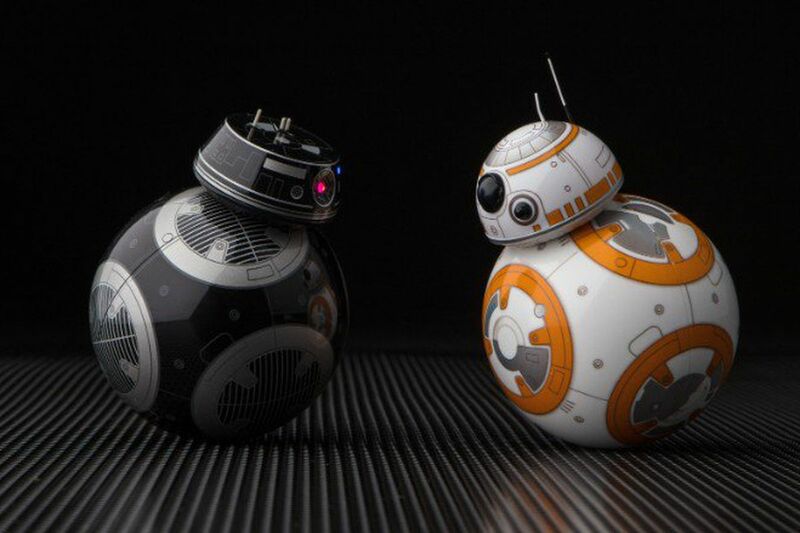 It was not just that BB9E was featured heavily in promotional imagery leading up to the film, with many assuming he would be Kylo Ren’s personal droid, sadly this was not so and again seemed like he wa sthere just to sell toys. 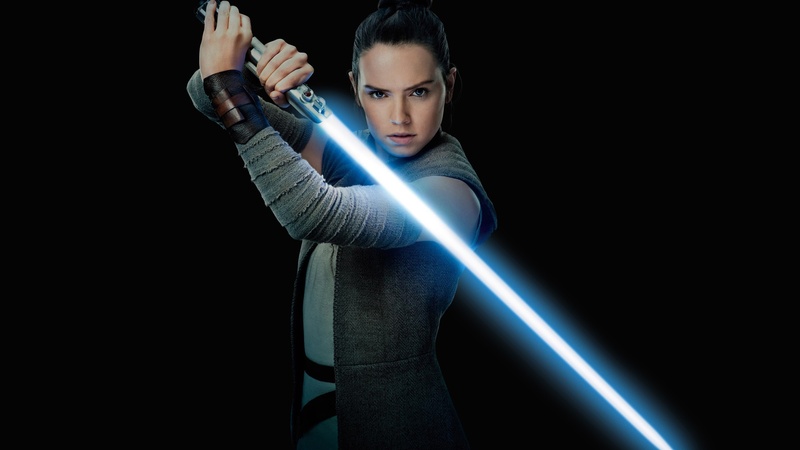 I dont think Disney understand yet buY Star Wars fans will by anything that is marked star wars even the most obscure character, this was not needed. 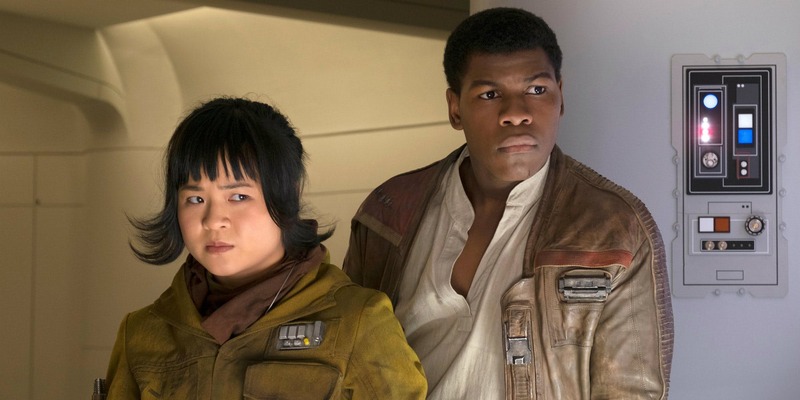 Finn is a fantastic character and I love John Boyega in the role but I think his character arc could have ended perfectly with a heroic sacrifice to save the resistance and deal a crushing blow to The First Order. I mean he escaped The First Order, faced down Captain Phasma, saved BB8 and helped destroy Starkiller Base, what is left for him. This could have lead to Rose to take up a much greater role in the follow up film inn honor of Finn. In the end they chose to keep a beloved character alive which I cant completely disagree with. In the end its only the middle which in many ways is the hardest part of a story to tell, so there could still be a few big twists yet to come. I still enjoyed the film and will be posting a list of my 5 favorite parts soon. Yes to all. Especially Poe vs Holdo part. I think they had to put that in because half of the story would not take place if she didn’t keep him/them in the dark. PS. Why did Holdo stare at the resistance being slaughtered for soooo long before deciding to sacrifice herself? The same reason I guess. Perhaps it was more dramatic flare lol.